Pop quiz: what’s the appropriate amount of times to think about a lover who has just walked out your door? From “Postively 4th Street” to “You Go Your Way (And I’ll Go Mine),” Bob Dylan has proven to be a masterful songwriter of “kiss-off” songs, adding another element to rock lyrics that punk would perfect. “Don’t Think Twice, It’s All Right,” is his perhaps his best, saddest, and sweetest kiss-off song, evoking feelings that are equally world weary, tender, forgiving, and spiteful. It’s a classic on an album of classics that introduced Dylan to the world at large (The Freewheelin’ Bob Dylan), and its poignant, knowing refrain has been burned into our hearts and minds for decades. Well, that’s just sad. Another sad fact about “Don’t Think Twice” is that Dylan is not the sole author — instead, it was born out of the life-giving “folk process” so popular in the early 60s, when nobody in the folk music revival really “wrote” anything. Influential folksinger Paul Clayton is said to have imparted the seeds of the melody to Dylan, as well as much of the lyrical conceit (Clayton is also heavily rumored to have inspired Joni Mitchell’s “Blue” and Dylan’s “It’s All Over Now, Baby Blue”; if so, it could be argued that he was well compensated for his generosity). According to Coltman, Clayton received $500 dollars from Dylan’s management ($4,500 less than Jean Ritchie, who’s song “Nottanum Town” inspired “Masters of War,” received) and the case was dropped. 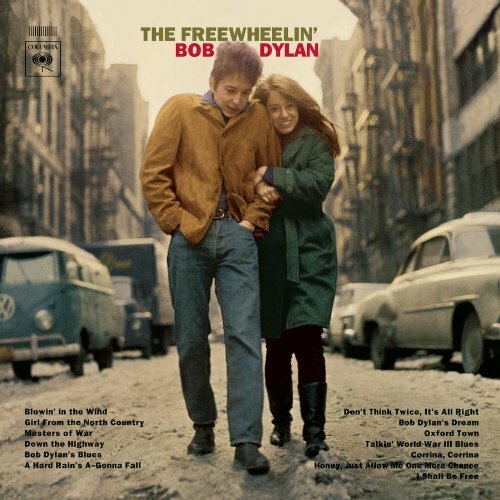 Dylan listed the melody as “traditional, arranged by Bob Dylan” in the Freewheelin’ liner notes. “Don’t Think Twice” might have been derived from the folk process, but with it, Dylan created an indelible folk song for us all to sing. More so than “The Times They Are A-Changin’,” more than “Blowin’ In the Wind,” “Don’t Think Twice” has emerged as Dylan’s true populist anthem, in part because it’s so lovable; breezy and hummable, yet effortlessly profound. Suitably, it’s been covered by billions, from amateur guitarists and dimestore folkies to Eric Clapton and Joan Baez. The Allman Brothers Band, Johnny Cash, and Bryan Ferry each cut versions of this song, as did the Waifs, the Seekers, Susan Tedeschi and Frankie Valli. Peter, Paul and Mary helped popularize it the year it was released. Ramblin’ Jack Elliott, who Dylan learned a trick or two from, performs a masterful version of this song, live and on record. “Don’t Think Twice” remains and enduring live favorite. Even at his croakiest, Dylan can still do this song justice, trading the original’s lithe finger-picking for lightning-fast strumming and weathered, off-beat vocalizations.